Hi, I’m Kimberly! 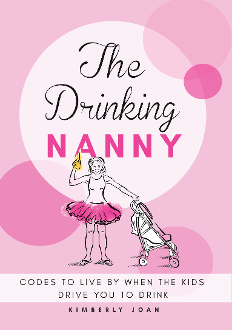 “My kids” call me MeMi, but you can call me the Drinking Nanny. Now, before you completely flip your wig, you should know that I don’t drink around children nor while I am on the job. If you are a parent, then you already know . . . before the day is over, your kids will “drive you to drink” at least one good time! As a celebrity nanny for over fifteen years, I’ve seen it all! Is your day full of tantrums, sibling fights, laundry nightmares, and inconsolable whining that happens for no reason? I’ve got a Code (and a drink) for that! Grab your adult sippy cup and let me show you how I make raising kids as fun as drinking a mai-tai cocktail!